Ever been to a meat raffle? No? Well, you’ll learn all about what a meat raffle is on this episode … Continue reading "Meat Raffle! 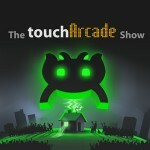 – The TouchArcade Show #395"